Vive la Cité des Anges! Sorry, Portland, but I gotta rep another city. While visiting my family in Los Angeles, I discovered just how far we’ve come. 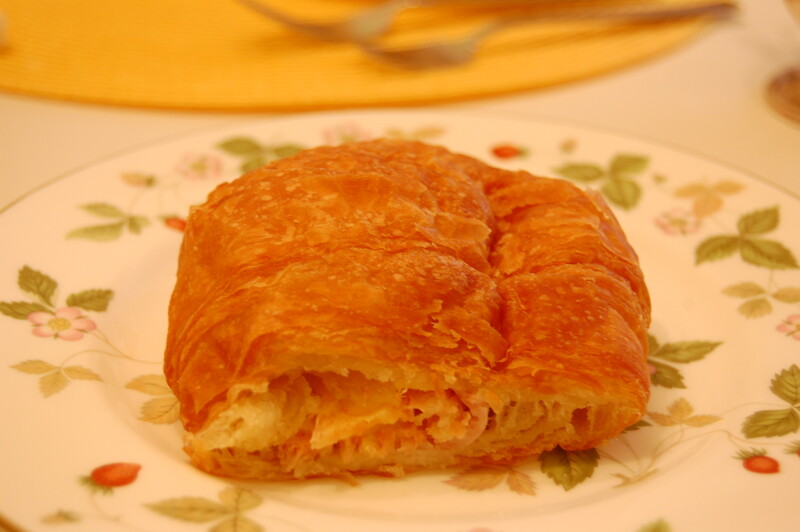 There is no surer proof of the evolution of vegan cuisine than: the vegan croissant. Mind you, I am not simply talking about any old crescent-shaped French flaky delicacy. Oh, no. It goes far beyond that. I am talking about three separate croissant-based meals. I thought I would never again get to experience the greasy grotesque joy of meaty & cheesy filled pastries. Thankfully, Doomie’s came along to fill all the junk-food shaped holes in my life. 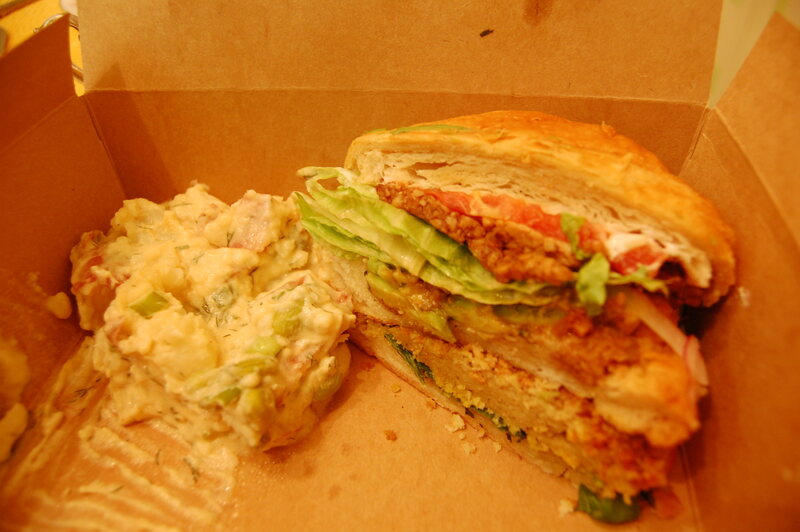 Fried chicken, shrimp scallopini, clam chowder – it’s all waiting for you on Vine Street. Oh yes, my friends: Breaded seitan, tempeh bacon, avocado, arugula, heirloom tomato, red onion, pesto, garlic aioli on a double decker toasted croissant. With some kickass potato salad too, just for the hell of it. Sorry, I’m lacking a picture. While this bread pudding wasn’t the best I’ve had, it smothered in minty chocolateyness, and, most importantly, it made possible the #vegancroissanttrifecta.